Earlier this week, as I was standing over the hot stove cooking dinner, and consequently the hot sink washing dishes in the REALLY hot weather, my mind began to drift to our days in Florida when grilling out on our back patio was an everyday occurence. While it is lovely, and I am grateful that we have it, anyone who says it is okay to grill out there is being sent directly to the fire marshal for some safety lessons! 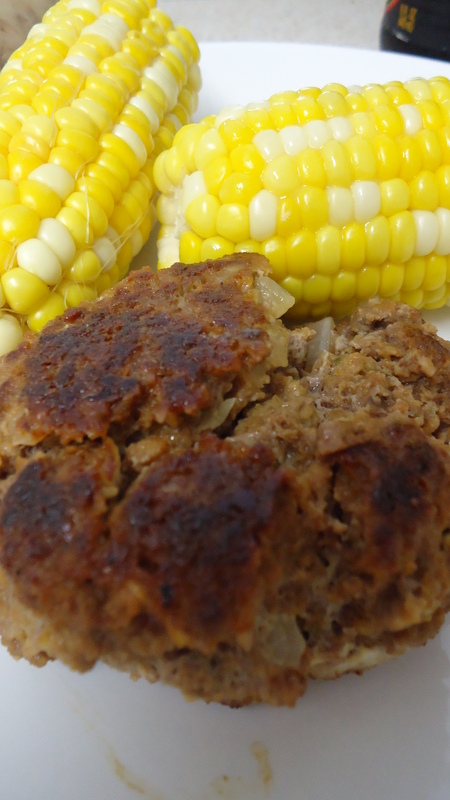 While my dinner of seared meatballs and corn on the cob came out fabulously, as I wiped the sweat off of my brow, I remembered an email that I received earlier in the week from CSGrills wanting to work with Eat.Live.Blog. Well, I traveled on over to their website to see if it was worth talking about on here. The seared meatballs that started it all! After some delicious leftovers from Good Cook Doris’s smoker last week, I took a look at the smokers first. They were definitely tempting! 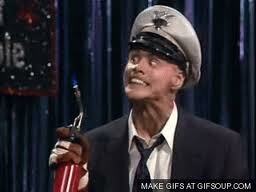 But then that little safety bird in my head said forget about it! But then, there it was, like a stroke of genius! The Napoleon Freestyle Portable Electric City Grill! It is just perfect for my apartment-style grilling needs! I am not a fan of George Foreman type grills, however this some how looks better…but I will let you know for sure once it arrives! In the meantime, the fabulous people of CSGrills are offering a giveaway to you, my lucky, summer-loving, grill-happy readers! That’s right, one of you will win a $50 gift certificate to buy whatever you would like from the site! Mandatory Entry: Visit CSgrills.com and leave me a comment stating which of their items you would use the winning $50 gift certificate towards. Please use a specific product name. Additional Entry: Follow @renh77 on Twitter and tweet “I want to win $50 worth of summer fun from @renh77 & CSGrills! http://wp.me/pVsto-qR“. Come back here and leave me a comment to let me know you have done this. Winner will be chosen using random.org and announced on Monday, July 11th. Winner must have left some kind of contact info in their comment. Winner must respond to notification email within 24 hours or a new winner will be drawn. This entry was posted in Reviews and tagged city life, CSgrills, giveaway, indoor grilling, napoleon grill by reneeh. Bookmark the permalink. We also have a place with no viable porch, but I think I’d prefer the Napoleon Freestyle Electric City Grill in Stainless Steel instead, as it’s got a few more features. Ooooh! Great timing! 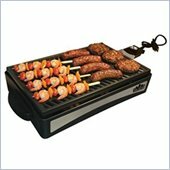 I do really like the idea of the Napoleon Freestyle Portable Electric City Grill… But I think I would have to go with the Weber Q 100 Portable LP Gas Grill (http://www.csgrills.com/Weber-Q-100-386002.htm). Since we are moving to a new place with an actual patio, I’d use the gift certificate for a grill! We just moved from a place with a yard so our grill and smoker have been cast aside for now since they are not allowed indoors in our new place… dumb rules… ha! so i would really love to get the Napoleon Freestyle Portable Electric City Grill so it could sit on our counter and we could still get some grilling done! The portable city grll looks perfect for my roofdeck – don’t want the fire marshal beating down my door! This is a great giveaway. I’d probably go with the Camp Chef 24 Inch Reversible Cast Iron Grill and Griddle for its portability and versatility. I tweeted it! But also, just in case. I’ll be putting the gift certificate toward the purchase of a Weber 22.5 Inch Plated Steel Kettle Rotisserie in Black Finish. Slow grilling for the win! I’d like to get the Weber One-Touch Gold Charcoal Grill in Black.